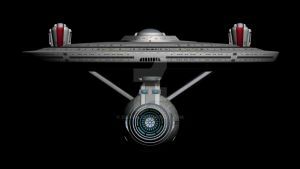 The Constitution Class never looked so good. 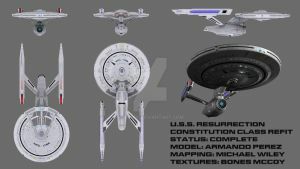 Texturing of U.S.S. Resurrection currently being done by Bones McCoy. Seriously, this is a beautiful refit imagining of an old classic. I love it!!!! Thanks!!!! I tried to keep her true to her movie refit design, while changing what I thought was needed to update her a bit. Thanks. 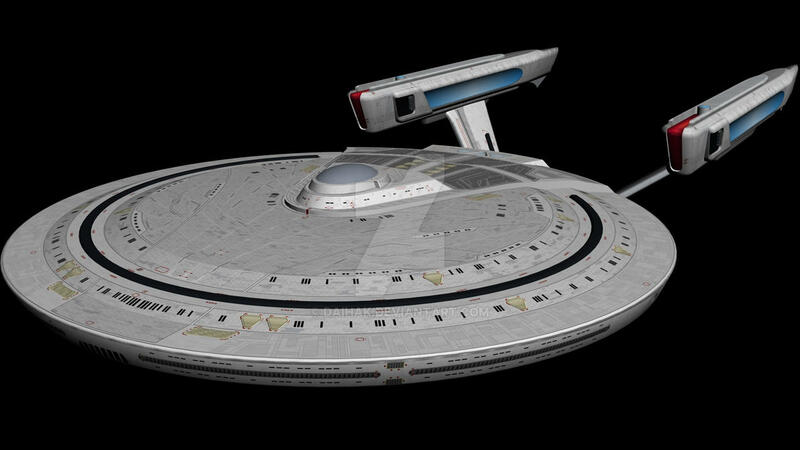 My friend Bones did the textures for my ship, and my other friend Wiley did the mapping, but the model was all me. Well done! I've seen a render done by that used your model. I call it Constitution MK III. 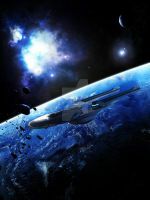 :-D Actually, the original name of the Resurrection was the MK 6 Constitution. Long story behind it. Oh I can imagine her too in a Trek movie. Thanks for the comment. Thanks. Bones did great work on her textures. Although her timeline puts her 2420. These are way cool! You might want to correct the spelling of Resurrection, though-- the posted listings for all of them are misspelled with one 'R' which will make them difficult to find if someone is doing a word search. Didn't catch that. Thanks for letting me know. :-D Spelling mistakes happen when you're half asleep.